Despite a jobs report the worst since 1974, the equity market managed to fight well in to positive territory for the day on Friday, and based on the overseas markets it is looking to be a good day. The US economy was reported to have lost 533,000 jobs in the month of November, and shedded 1.3 million jobs since September, leaving the unemployment rate up to 6.7%. Alan Abelson notes that the report would have been a lot worse “had not over 400,000 left the force because they likely couldn’t find work.” Sadly this weekend’s TV news seem filled with stories, with real people, that have either lost of their job or are giving up hope about finding one. This is going to continue. I do not want to imagine what is going to happen to the retail sector come January… stimulus package or no stimulus package. America, Americans who simply cannot afford it, just have to stop buying stuff we do not need and that is going to be a painful adjustment process. The addiction to credit has to stop. It has stopped. Let the recovery process begin. Earlier the year I wrote an OPED about our addiction to credit. Read it here. It is still going to get worse before it gets better for the economy and 2009 will definitely prove to be one of change, transition, and I hope, HOPE. Bill Gross’ DEC commentary is a must read. A new investment paradigm has arrived. Too many people I believe are not letting recent history reframe their thinking, and that is going to get one in big investment do do. I am not saying I have all the answers, I do not, but I do know that how I think about where to invest has been completely shaken up. 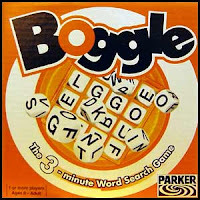 It is like the game of BOGGLE. You shake up all the letters, then let them settle in to their spaces, and try to make as many words as you can from connecting letters as fast as you can. The problem right now, as the letters just keep on getting shaken up. But hey, that is the world of investing. I also found this GREAT SECTION ont he Pimco site that explains all about bonds! I am adding this to my investing 101 section. Bookmark it. Previous Post Slumdog Millionaire – Must See ! Next Post Are YOU Ready for a Revol- YOU – tion?